As if Apple didn’t have enough on its plate dealing with weaker than anticipated demand for its newest iPhone generation, which was partly blamed for a big downward revision of the company’s latest revenue forecast, Qualcomm took its legal war against its erstwhile ally to the next level yesterday. By posting bonds of over $1.5 billion required by a German court in a December 20 ruling, the semiconductor giant forced Apple to halt local sales of a number of older iPhones found to be in infringement of some of Qualcomm’s patents relating to the handsets’ power-saving technology. While the Cupertino-based company never complied with a similar court order in China, rushing out a software update as a loophole of sorts meant to dodge the regional ban, the iPhone 7, 7 Plus, iPhone 8, and 8 Plus have indeed suddenly vanished from the online Apple Store in Germany. Can you spot the missing iPhones? It seems there was nothing to do to evade the embargo around those parts, which likely covers sales in physical retail locations as well. But even though Qualcomm expects third-party German sellers to follow Apple’s suit, that hasn’t happened yet. 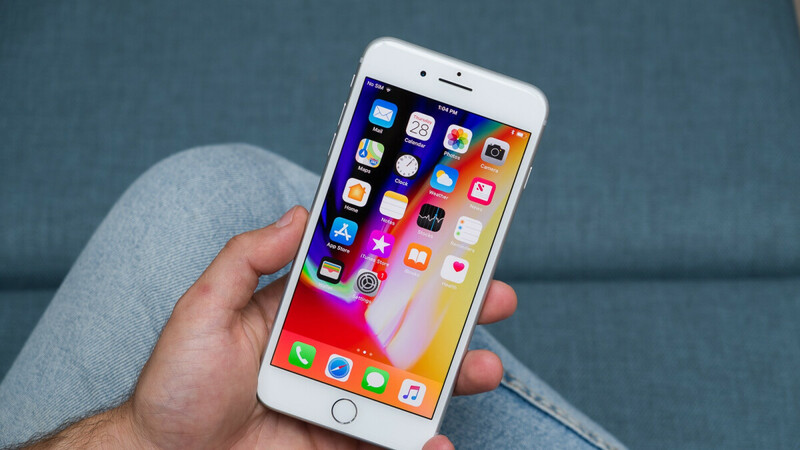 At the time of this writing, the four iPhone models in question are still available through the local arm of Amazon, not to mention key Apple partners like Gravis are specifically promoting the iPhone 7 and iPhone 8 lineups on their homepages. While it remains to be seen whether or not Qualcomm’s interpretation of last month’s court verdict will eventually be shared by other iPhone 7 and 8 sellers, Apple is naturally in the process of appealing the ban, which many experts expect to end successfully. If that happens, Qualcomm’s $1.52 billion bond will be used to cover Apple’s losses during this period of prohibited sales. Basically, the war is only getting started. Qualcomm really is going all out huh. Since companies usualy do not go that hard on each other, I can only wonder what Apple did to piss them off so much. I have theories ocf. but it would be interesting to know what straw broke camel backs. Qualcomm accused Apple of stealing IP and giving it to Intel. They already had their payment disputes before that, but I think Apple switching to Intel is what did it. Fruit company complies because they got caught! If you cheat, lie and steal eventually you will get burned! Just ban this crappy company. Top manager's faults and the blue-collared people will suffer, this year of the pig don't want any silver apple in the mouth. I hope apple settle these lawsuits properly. I don't care about their top executives with fat savings, I am concerned for their lower employees that may lose their small jobs. Apple stole Qualcomm's modem technology and sold it to Intel but they can't copy it well. Reverse engineering takes time, creating your own design based on what you learn takes even longer. I wouldn't be surprised if Apple didn't give anything to Intel but instead chose to keep what they learned for themselves to aid in the development of their own modem so they no longer need Intel either. That's an interesting point you got there sir! Apple (as a corrupt company) most certainly can do so.